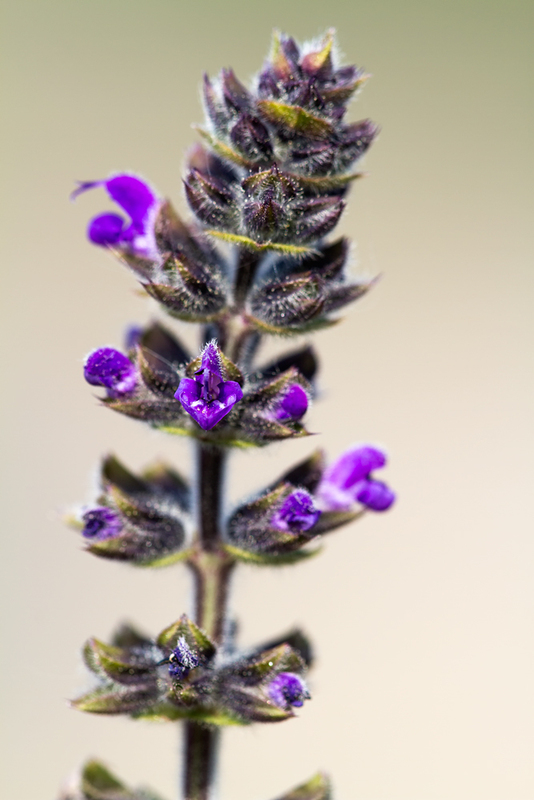 Wild Clary in common with the more familiar garden Salvias has an open-mouthed flower, hooded above with a three lobed lower lip. The flowers are a soft purple to violet and are arranged in whorls on an erect, hairy stem. The grey-green leaves are wrinkled and ovate with toothed, pinnate or lobed edges. 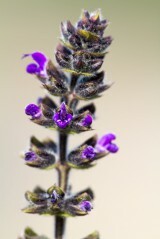 In common with many other Salvias wild clary is strongly aromatic and has been used in teas and as a flavouring. 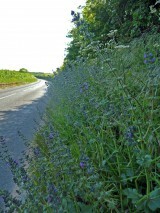 Wild clary is an attractive plant in its own right but it should not be confused with the much taller, showier and much, much rarer meadow clary (Salvia pratensis). Wild Clary is a native, long lived perennial of well-drained, base-rich soils and can be found in open grassland on sunny banks and on stable sand dunes. In south east England it can also be found within churchyards probably because of the medieval practice of sowing it on graves. Although it can self pollinate wild clary is highly attractive to a wide range of bee species and other pollinating insects. Sow in spring or autumn. Requires full sun.